Every job has a description -- and if you craft it carefully, you can use a job description for effective hiring, new employee orientation, evaluating performances, discipline and plan for future growth. But if it's poorly written (or not written at all), your company can face all sorts of problems, from low employee morale to legal troubles. 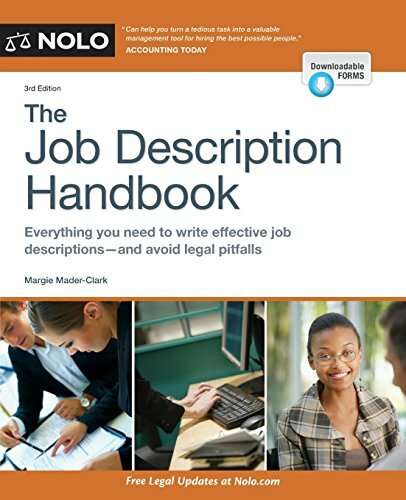 To meet your company's changing needs, The Job Description Handbook, an all-in-one resource, can help you create HR documents that provide the details of every job's duties, requirements, qualifications -- and much more. 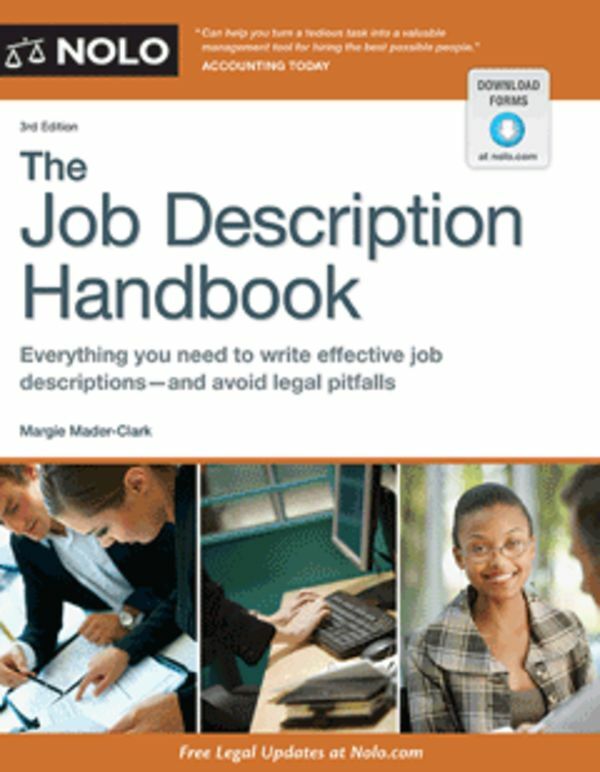 The book also provides checklists, worksheets, resources, sample language and step-by-step instructions that you can use to create job descriptions that will work in the real world.